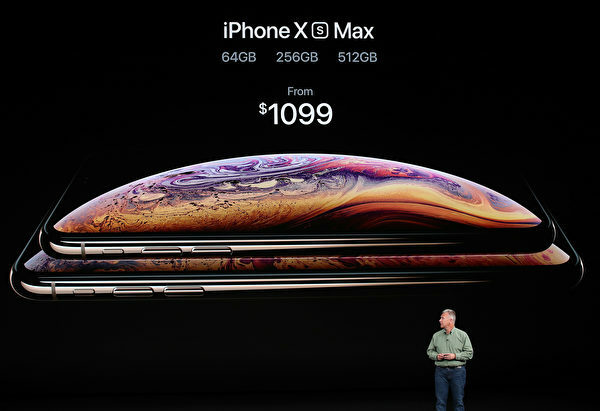 On the annual September product event Apple unveiled three newest models including iPhone XS, starting at $999; iPhone XS Max, starting at $1099, and the iPhone XR, starting at $749. The iPhone XS and iPhone XS Max will start pre-order on Sept. 14 and ship on Sept, 21. The iPhone XR will be available for pre-order on Oct. 19 and will ship on Oct, 26. The new Apple Watch Series 4 starts pre-order on Sept. 21 from $399 for the GPS model and $499 for the cellular. Apple’s senior vice president, Pill Schiller announced at the event that the iPhone XS is water-resistant. It is an updated version of iPhone X with 5.8-inch OLED screen. The iPhone XS provides a new processor with better performance, and improves the display for better color representation. It still uses the newest A12 bionic chip which claimed by Apple to be the first ever 7nm chip and has a six-core CPU (with two “performance” cores and four “efficiency” cores), a four-core GPU (which is up to 50 percent faster than the A11’s), and an updated Neural Engine, a special part of the chip designed to handle AI tasks. 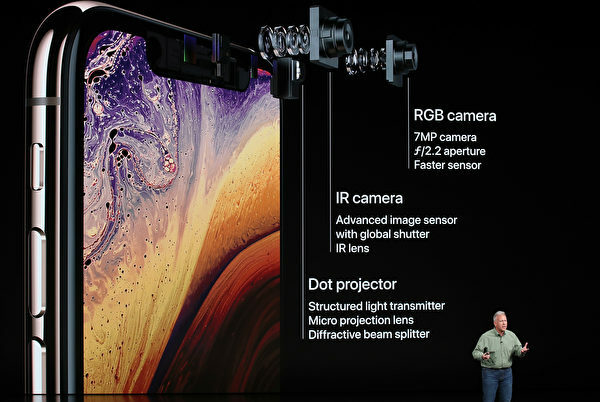 The iPhone XS features an improved dual-camera system compared to former versions. And it still uses FaceID which is supported by a faster front-facing camera and a dot projector. The iPhone XS has three color options with gold, silver and space grey and three storage spaces with 64 GB, 256 GB and the largest 512 GB. A bigger model of iPhone XS is the iPhone XS Max with a 6.5-inch OLED screen. Both iPhones feature blur adjustment after Portrait photos are taken, and offer dual SIM through the use of a nano-SIM and digital eSIM. The iPhone XS Max runs on the biggest battery Apple has ever put in a phone with 90 minutes longer usage, Schiller said. And the iPhone XS Max’s upgraded speaker system also provides “wider stereo sound”. 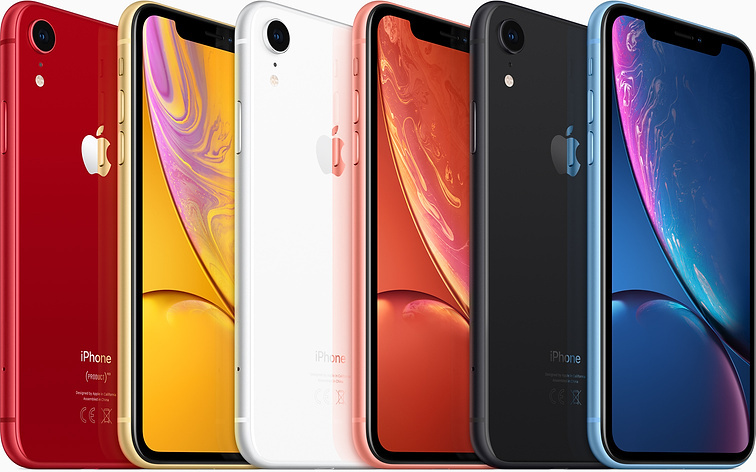 Apple’s third new iPhone is a more affordable option, the iPhone XR. It has 6.1-inch Liquid Retina Display with aluminum finishes. While the iPhone XR also runs on faster processors and uses the similar front-facing sensor array, the rear-facing camera will only include a single 12-megapixel sensor. The battery will last an hour and a half longer than the battery in the iPhone 8 Plus, Schiller said. And it comes in six color options: white, blue, coral, black, yellow, and red. The new Apple Watch features a larger display with smaller bezels. It will provide better fitness tracking and health features, with a dual-core, 64-bit S4 processor, the performance of which is up to two times faster than the former generation. The core applications on the Series 4 have been updated and redesigned for users to customize their own watch face. 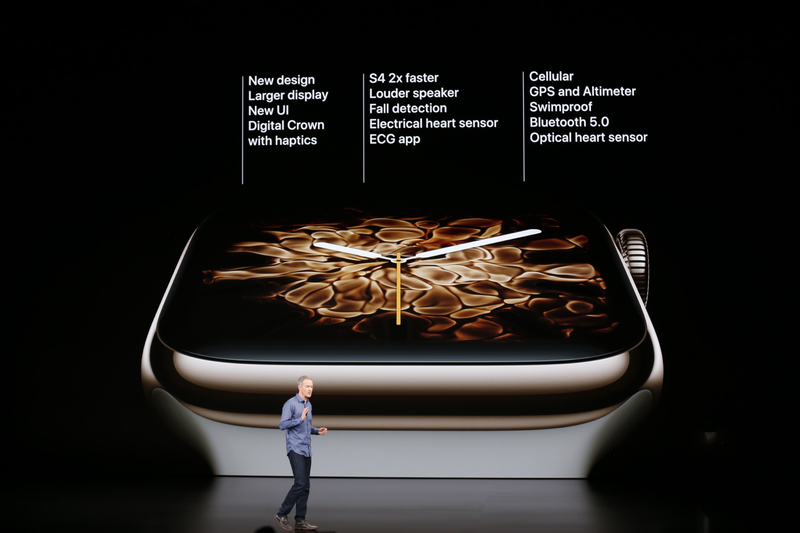 The Series 4 comes with advanced heart sensor for taking an electrocardiogram. It can detect the abnormal when users are in dangerous heart condition and alert the emergency contact. The bands from original series are still compatible with the Series 4.